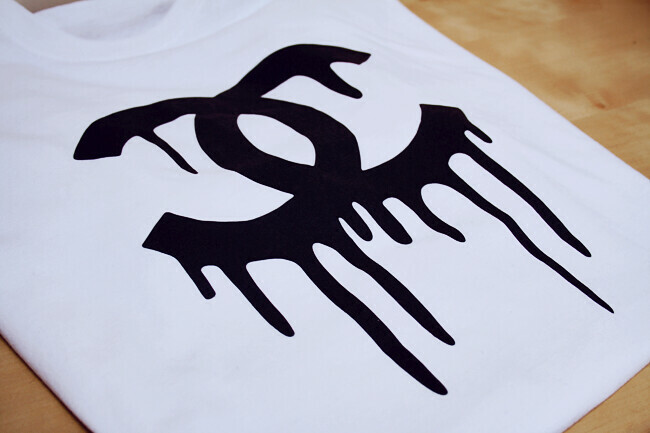 I do love a good printed t shirt and this dripping Chanel replica is right up there with the good ones! I really like it! It sort of suits the month of October for Halloween. This is so cool! I need one now! I really like this shirt it's very creative! Ooh i like this, a lot! Ahhh I love it! Think I might DIY this... Get it screen printed. How gorgeous is your hair?? Ohh that tee is awesome :) Would never think of putting it under a blazer but I love how it looks! So do I! 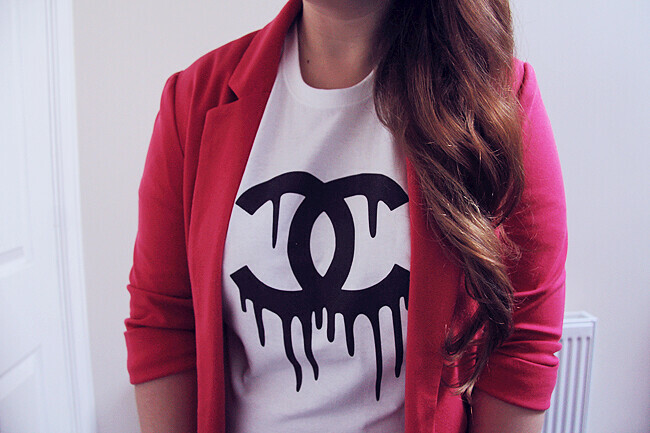 I love anything with a Chanel logo on it! Love this, such an easy top to dress up or down. I like the jacket you've paired it with! ohh I looove this top! I would wear this shirt so much. I just found your blog and I think I'm in love! Excuse me while I stalk all your posts! Thank you for sharing this website. Its great.